This floor drying air mover by Sandia is a lightweight, high velocity air mover, used typically for drying hard floor surfaces. Great for drying entrances of restaurants, gas stations, and commercial settings. This helps to eliminate the possibility of someone slipping and falling upon entering your business. All of our carpet & floor drying air movers are especially useful in the those environments were snow, slush, and ice can be tracked inside. No longer do you have to worry about a lawsuit from a potential slip and fall. 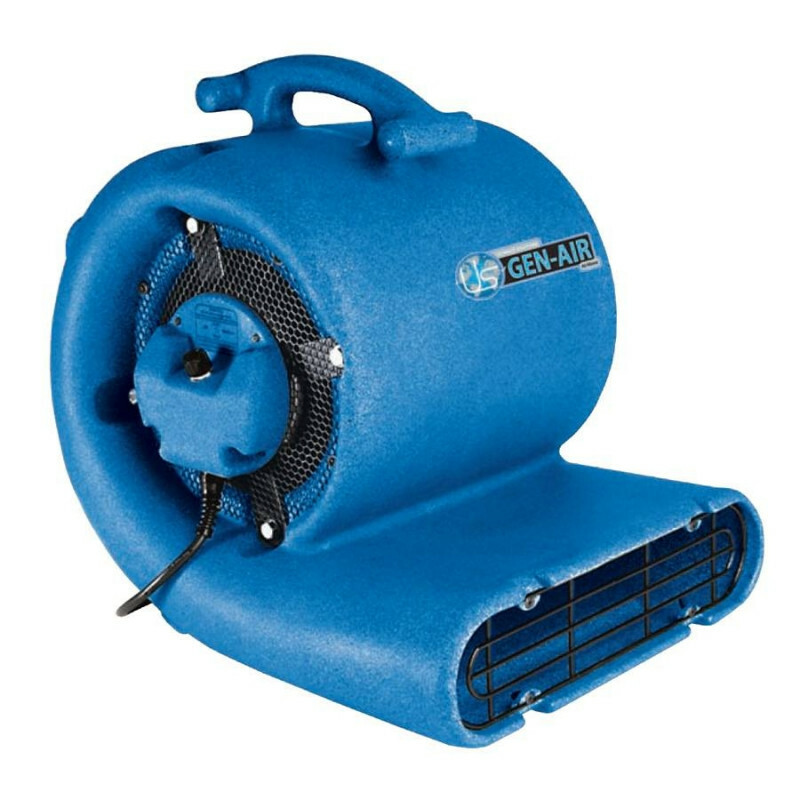 The Sandia floor drying air mover blows 2500 cubic feet per minute of air across all surfaces on its highest setting. This expedites the drying process in all types of environments. Quiet 3-speed design, up to 2500 CFM on its highest setting. A kickstand and rubber feet allow you to blow air in 4 different directions. Molded handle is offset for balanced carrying and stackability. Steel cage protects motor from debris. This is a review for the Floor Drying Air Mover.